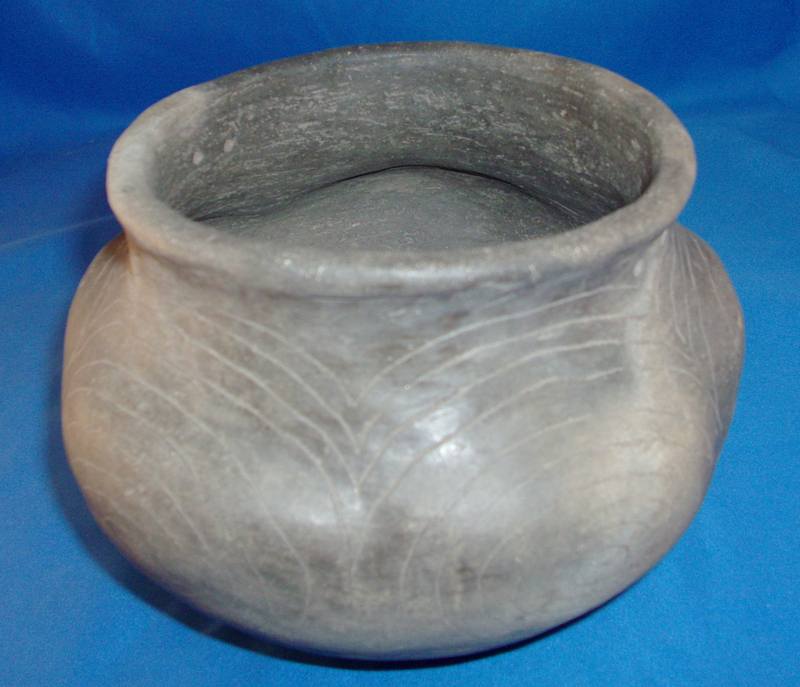 A Large Size, Very Well Made, 5 Lobed Engraved Mississippian Jar, That Exhibits Surface Sheen & Exterior Coloration Type Patina, Visible Surface Shell Deterioration, Aging In The Engraving, Correct Bottom Wear, Correct Material & Manufacture For The Area Found. Found By Arnold Moore At The Crosno Site, Mississippi County, Missouri. This Excellent Mississippian Jar Has 5 Equally Placed Engraved Lobes Around The Center Of The Vessel & Small Hanging Holes Across From Each Other! Includes A Ken Partain Certificate Of Authenticity!